Nineteen year old singer / song-writer Jake Bugg opened for The Rolling Stones. Yes, you read that right. Yesterday at London's Hyde Park, Bugg supported the legendary rockers describing the experience as a "privilege and honor." 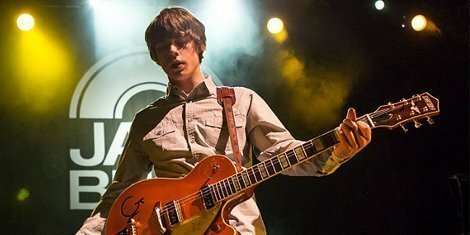 The up and coming British singer has received a lot of praise from his self-tited debut album, Jake Bugg, since its release last October. He has been compared to the likes of Bob Dylan, noting him as an influence as well as the Beatles and Stones. After the surreal experience of opening for the Stones in front of a massive crowd (about 80,000 people), Bugg spoke with Absolute Radio and said, "I never thought it would be a reality. I mean I've dreamt about it, I've thought of these kind of things but I never thought something like this would actually come true." "It's the biggest show I've played, maybe not the most receptive crowd wise – you know 70-80,000 people there to see the Rolling Stones, not Jake Bugg, but it's a complete honour. I did T In The Park, which was amazing and then onto supporting the Stones. You can't beat that. I just loved it." "The Stones have definitely been an influence on me. They're a great band with a good body of work and there is definitely something to be taking out of that. You know they had a lot of old blues influences; they're an amazing band." Jake Bugg is currently working on his second studio album and is currently on tour.